The days seem to be getting shorter, the temperatures are dropping, and the leaves are falling to the ground. This can only mean one thing: winter is quickly approaching. 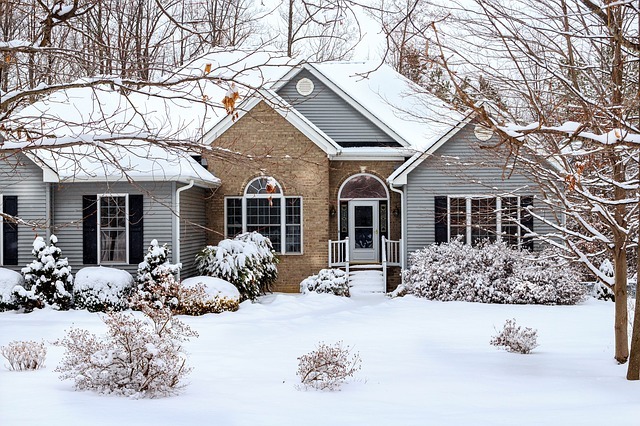 Because it’s approaching winterizing your property should be at the top of your mind. When you think of winterizing, you might think of doing that to an RV, boat, or your sprinkler system (which we do too, by the way) but we’re talking about winterizing your landscaping so you can be sure it lasts the harsh conditions and will be ready for a beautiful spring. So, how can you winterize your landscaping? Read these tips from a Denver landscaping service on to find out! First thing’s first, start fertilizing. Find a winterizing fertilizer that is high in potassium. Next, apply lime to your lawn. By applying lime, you’re going to adjust the pH of your soil making it more alkaline which is essentially for a beautiful lawn. Over the winter, the lime will work it’s way into your soil. Before the frost sets in, you’re going to want to rake up all of the leaves scattered about in your yard. Raking up debris before snowfall is essential for preventing diseases and pests. Do you have acorns falling on your yard along with leaves? Pick those up as well! If you leave them on the ground over winter they become embedded in the soil, making your lawn bumpy, and even possibly sprout into new seedlings. Finally, cut your grass - and cut it short. How short, you ask? We recommend two to three inches in height. If you let your grass grow long and winter sets in, the long blades will bend over harboring diseases over the long winter. Additionally, never ever use a lawn mower on a frost-covered lawn. Frozen blades are just like glass and can easily be shattered. If you have any delicate plants or shrubs, wrap them up! Winter brings about really dry winds, so if you have shrubs that have floppy branches or leaves that are easily damaged, wrap them in a breathable fabric at the very beginning of winter. Burlap is not only inexpensive, but it’s incredibly effective. The same thing goes for hedges. If you have a line of them that you should ideally wrap for protection, you can simply wrap the entire line of them at once rather than individually wrap each one. Does your neighborhood or yard experience deer in the fall and winter? Be sure to protect your plants from them by using deer netting, fencing, or deer repellents. Otherwise, once spring comes around, you won’t have much plant left! If you live in the Denver area, you know we get snow. And often, it’s a lot. If you have plants in your lawn, be sure to build structures to protect the from the loads of snow that can collect of them. There are so many ways to winterize your lawn in the fall, but these are just a few good tricks! We know we talked about winterizing your lawn, but you also need to winterize your sprinkler system along with your yard. It’s essential, and can save you money down the road! Should you have any questions on winterizing, be sure to contact us today! The Roof Dr. has years of experience under our belt, and we’ve been witness to quite a few winters, too. We can help you with your sprinkler system or landscaping!